Backpack body armor has been marketed to the public for quite a few years now. Before that, there were people just buying soft or hard armor and putting them in their backpacks. Purchasing purpose made backpacks and armor or just buying the armor and putting it in your current pack are both viable options if you’re looking to get into backpack body armor. Making the decision to buy backpack armor is pretty much a no-brainer. Whether it’s for your daughter’s school backpack or for your briefcase that you carry to work every day, it makes sense to spend the money just in case. How Do You Use Backpack Armor? Backpack Armor…do you Really Need Body Armor? How are you supposed to use backpack body armor? The real decision is figuring out what kind of armor you need. What do the different levels mean? How heavy is it? How are you supposed to use it? The questions go on and on. Keep reading and we’ll answer all those questions and more! Armor is rated based on a standard put out by the National Institute of Justice. These ratings are often referred to as NIJ Ratings. Armor for our purposes is divided into soft and hard varieties. We’re interested in soft armor rated at II-A, II, and III-A. These are rated to stop various calibers of handgun ammo. Soft armor is made up of many layers of aramid. Kevlar is the best-known brand. Additional things to consider are the fact that soft armor can be used to defend against slashing knife attacks but not penetrating/stabbing attacks. Soft body armor can also protect against frag from things like IEDs. I had a piece of frag from a 130mm projectile used in an IED get stopped by soft armor I was wearing in Iraq. Hard armor that we’re looking at is level III and level IV. These are designed to stop rifle caliber ammo. Hard armor for civilian use is normally made of hardened steel specifically designed to stop projectiles. Ceramic plates are also available. Hard and soft armor come with different pros and cons that we’ll discuss below. Pros: Soft armor has two main advantages. It’s very light and it can flex. This makes soft armor the most concealable type of backpack body armor. Soft armor is much more concealable than hard armor. Cons: Soft armor has a major drawback…it doesn’t protect as well as a heavy steel plate. This is fine if your main threat is handgun rounds. If you believe that your main threat is from someone with a rifle, then soft armor isn’t going to do much to help in that situation. Soft armor deteriorates much faster than hard armor. (The shelf life is normally around 5 years.) This degradation is even faster if it’s getting wet or sweaty on a regular basis. Hard armor can have a shelf life of over 20 years! Steel armor can usually take many rounds of the rated caliber before showing any signs of wear. Even then, it retains most of its protective capabilities. Cons: By being able to stop nearly every threat, most hard armor needs to be heavy. It is also less concealable than soft armor. There are different hard armor plates that are made of composite materials like plastic or ceramic. These counter the main disadvantage of weight but they normally degrade faster and cannot reliably take more than one round. They’re also thicker than steel plates. The first thing you will want to do is figure out what your most likely threat is. Like we said earlier, if you expect to encounter rifle fire then soft armor isn’t really going to do much for you. The second thing you should consider is weight. Level III and IV plates are heavy while soft armor panels weigh in at right around a pound. If I was sending a kid to school every day I would give them a level III-A panel to put into the back of their backpack. They’d never notice it and it would give them some protection if it ever came down to that. 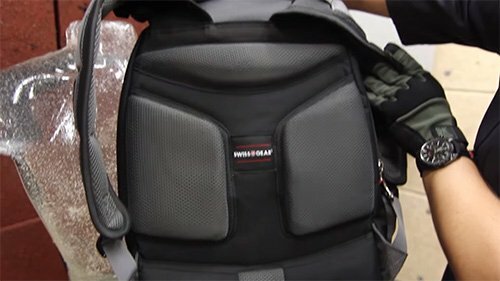 Some companies are making purpose built backpacks that have special pockets to hold armor panels and plates. AR 500 Armor and Bullet Blocker are both good places to find these backpacks. 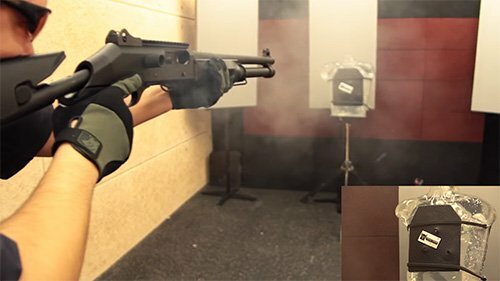 I found Bullet Blocker to be really interesting because they offer a full range of backpacks from little girly teal backpacks to tactical packs. If you’re looking for something that in no way says armor to anyone looking on, then you’ll probably want to buy the bag and plates separately. Any pack with a bladder pouch makes a good candidate for armor. Just make sure you measure well before you order the plates so you’re sure you’re getting the right size. Something like this CamelBak BFM Mil Spec Antidote is great for sliding a plate into and no one would really think your Camelbak can stop bullets. If you decide you need level III armor, you can find some lightweight plates from AR500Armor.com. They’re about 5 lbs. You can find level III armor at around 3 lbs but the composites are expensive and they’re about 6 times the cost of lightweight steel plates! Backpack armor has three logical uses in my mind. Wear the armor like a backpack so it protects your vital organs as you run from the gunman. This is the thing that makes me believe that backpack armor has a practical purpose for children. Hold the backpack (or briefcase, etc.) as a shield as you retreat from the gunman. Make sure you’re covering vital organs as much as you can as you’re retreating. Wear the backpack on the front of your torso (or hold the briefcase/backpack in front of you) so your vital organs are protected as you advance on the gunman. Whatever you do to get the armor between you and the incoming rounds is fine! Armor is allowed in both checked bags and carry on bags. If you plan on purchasing armor, make sure you check the laws in your area before you do. Some places in the US have restrictions on armor and many countries outside the US restrict body armor in one way or another. Backpack Armor…do you Really Need it? 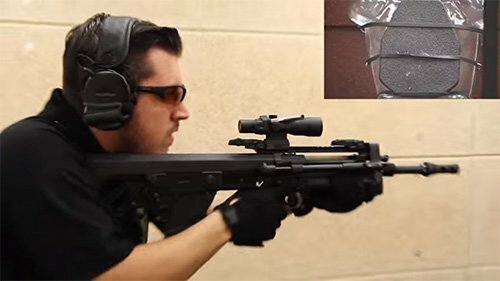 If you’ve never considered the practical uses of backpack armor hopefully this article has opened your eyes about the possibilities that are out there to add an extra layer of protection for you or a loved one. A simple 1 lb armor panel in a pack has the chance to mean the difference between life and death! 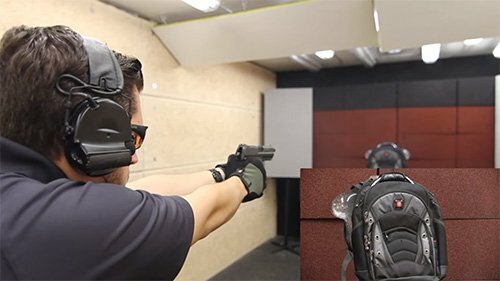 Don’t just look at backpack body armor as a passing fad. It’s something that you should seriously consider. Check out our other defense and tactical articles.